We are a small weaving and sewing business based on the Hebridean Isle of Skye. 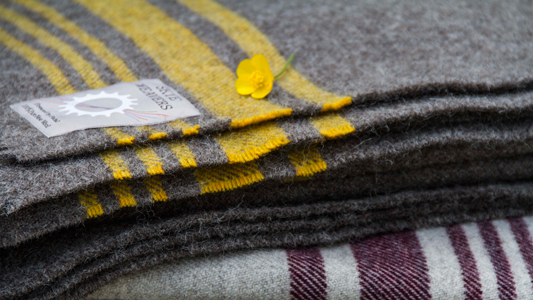 On our bicycle pedal-powered loom we weave a variety of woollen products including scarves, blankets, throws and wraps. 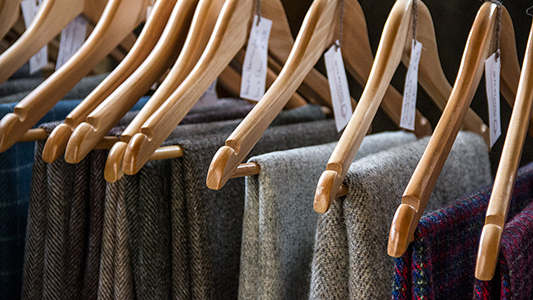 We also make tweed, which we sell as lengths and make up into garments, cushion covers, bags and accessories. 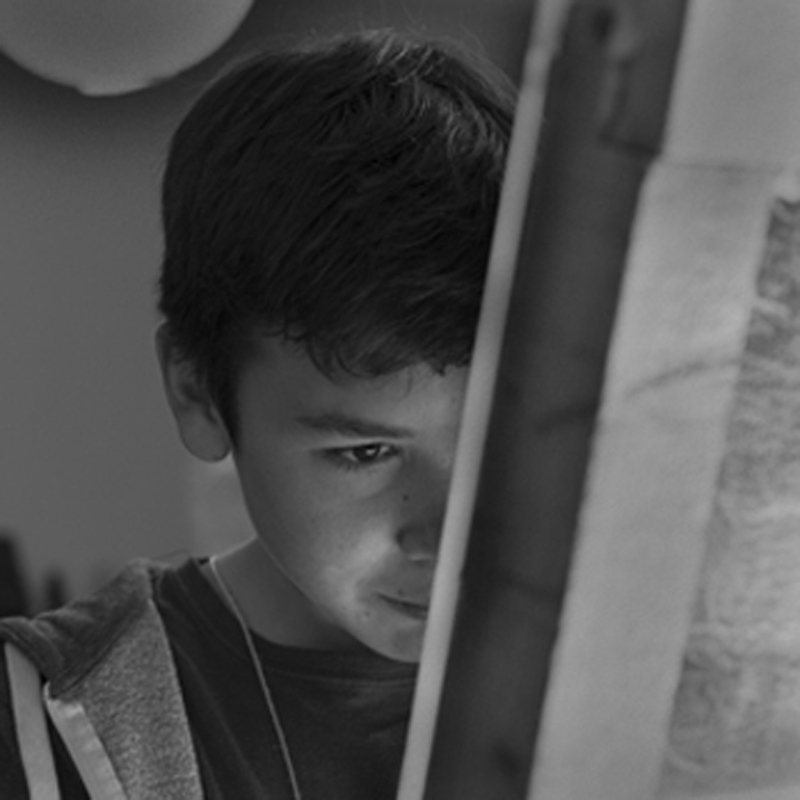 Provenance and quality are our guiding principles. Scotland has a proud history of high quality textile-making, but sadly much production has now moved overseas. 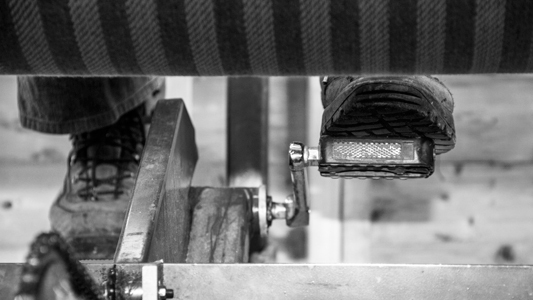 We are passionate about the need to preserve the knowledge and quality associated with Scottish tweeds and garments. 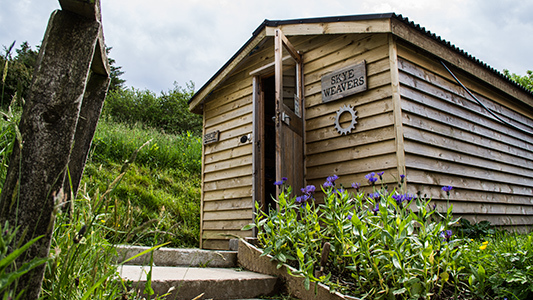 All our products are woven on a bicycle pedal-powered loom in a small weaving shed next to an old croft house on the Isle Skye. The sewing is done by us and other Scottish companies we work with. Wherever possible we buy materials and packaging from within the UK. We work with spinners in Scotland and Yorkshire, cloth finishers in the Scottish borders and label weavers in Wales. 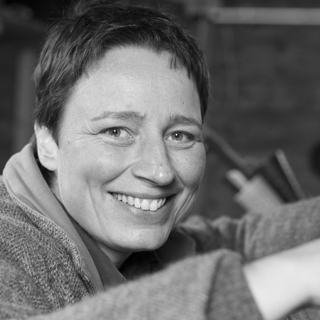 Our multi-talented team of dedicated cyclists, weavers, warpers, cone winders, designers, menders, seamstresses and fixing-everythingers consists of Roger, Andrea, Paul, Angie and Alexander. 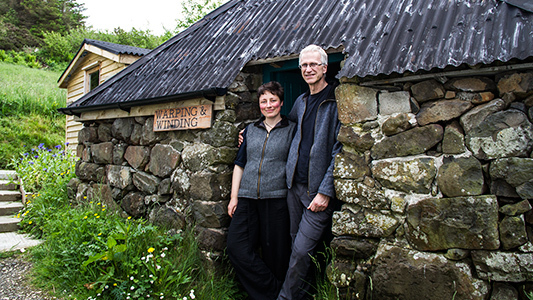 Roger and Andrea met on the Isle of Mull, where they lived for more than seven years before moving up to Skye. 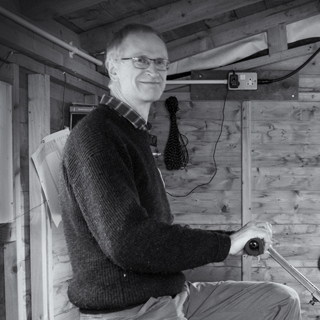 Roger had been coming on holidays to Skye since the 1960s, but in 2012 he and Andrea moved to Glendale permanently and set up their weaving and sewing business in the old family croft house. 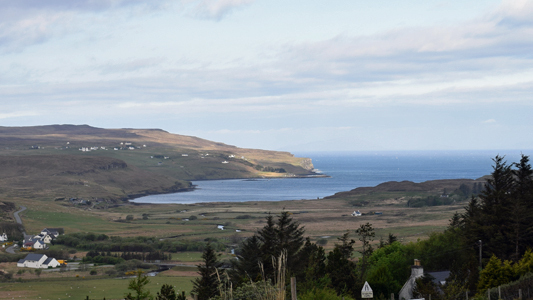 The inspiration for Skye Weavers came from living and working at Ardalanish, an organic farm and weaving mill on Mull. 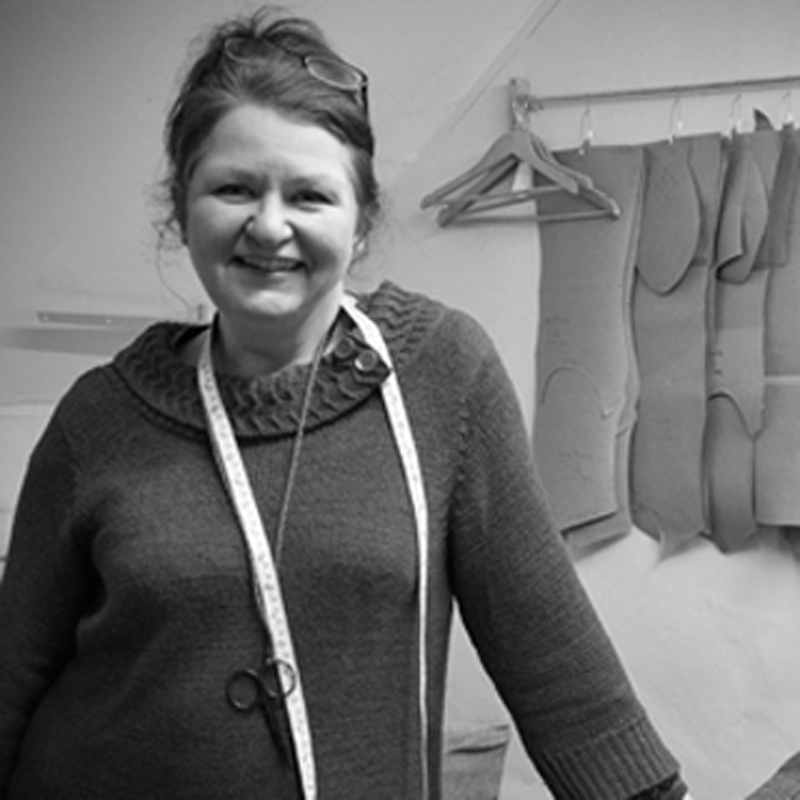 Roger worked as the farm manager there and Andrea was involved in designing and sewing clothes. 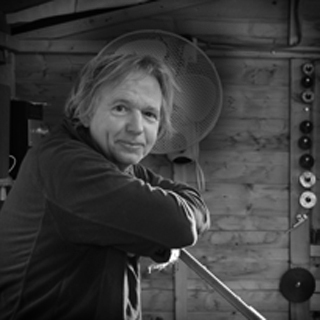 Thanks to www.withloveproject.co.uk for the gallery photo.